Bring classroom learning to life with a visit to one of our parent-recommended museums, or explore the website to explore from afar. 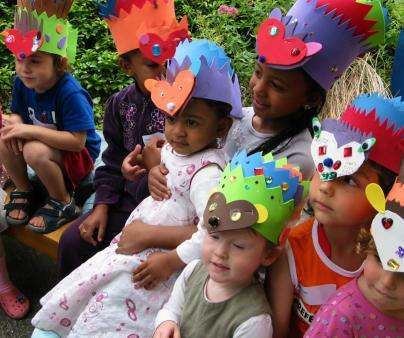 For hands-on fun and a fascinating trip through our Tudor and Victorian past we love the Geffrye Museum of the Home in London. PLEASE NOTE that the Geffrye is about to embark on a transformational £18m development project and the museum will close on 7 January 2018 for almost two years. Although the main museum building and period gardens will be closed, there will still be plenty of reasons to visit with a programme of events and activities in the front gardens and the restored almshouse open for tours on certain dates throughout the year. Leave the urban jungle behind and step into The Geffrye's beautiful gardens, an oasis of calm just off the Kingsland Road in Hoxton, London. Elena Dalrymple visited The Geffrye with her children Kate, 10, Tom, 7, and Emily, 3. The Museum of the Home is housed in beautiful 18th-century almshouses and explores the history of (middle-class) homes from 1600 to the present day. Wander through a series of period living-room displays to see the how furnishings, decoration and style changed over time (with plenty of opportunities to touch replica fabrics, period newspapers and objects and artefacts in the information bays between the rooms). From April to October you can also visit the award-winning walled herb garden and period gardens designed to show how domestic gardens changed over the last four centuries. 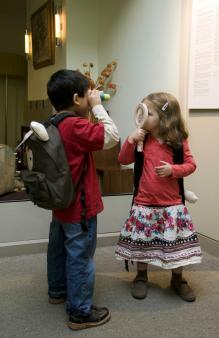 A really interactive, welcoming and fascinating museum for families − and it's completely free! The children loved spending an afternoon here and we will definitely be back. The brilliant (and free) activity backpacks and trails. We borrowed a fully-stocked 'afternoon tea hamper' and had a fantastic time serving cakes and drinks to teddies (wearing the apron and cap provided), before playing some card games. A guaranteed visit highlight for toddlers and younger children! Alternatively you can choose a Sam the Dog backpack, filled with multi-sensory activities and a pair of binoculars (suitable for children under 5). The Quiz Desk, staffed by Activity Assistants offering quizzes, trailers and quick craft activities to complete on the kids' activity tables. The Feely Box was pretty popular, too − you feel seven mystery objects and try to work out what they are just using your sense of touch. At Home with the Geffryes, the (free; borrow it from reception) kids' audio tour was a huge hit with my ten year old. Packed with voices from the past and stories, she listened to the whole thing, entranced, while wandering through the period rooms. Each December the period rooms are decorated in authentic festive style, so you can see how Christmas has been celebrated in the last 400 years and understand the history of some of our festive traditions. Loads to choose from and free, they're aimed at kids aged 2 to 16, cover art, design, craft, cooking and baking and run throughout the holidays. They are very, very popular, so try to arrive early in the day to get a slot! A weekend family activity programme with live music, performance and storytelling and craft workshops is also available. The museum restaurant serves drinks, snacks and lunches; a children's menu is available. When the weather is good, picnic on the lawn in front of the museum and admire the architecture. There are no indoor picnic or packed lunch areas. The Geffrye is at 136 Kingland Road, Shoreditch, London E2 8EA (about 15 minutes by public transport from the City of London). Detailed public transport instructions and maps are available. Free entry. Open Tuesday-Sunday 10am-5pm. Open Bank Holiday Mondays 10am-5pm; closed Mondays (unless Bank Holiday), Good Friday, Christmas Eve, Christmas Day, Boxing Day, New Year's Day. Yes (for grown-ups too) − we love the Regency Doll to Dress paper dolls book, £2.50, or the Geffrye Colouring Book, £2.50. 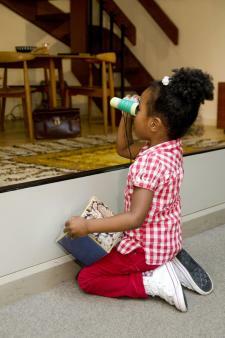 The Geffrye's virtual tour means you can actually visit from afar − highly recommended! 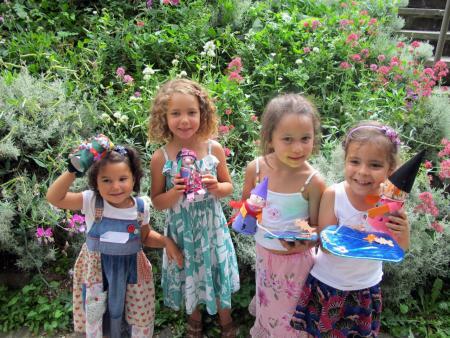 The brilliant Kids' Zone on the Geffrye website lets you design a garden or a room, investigate objects online and print out puzzles, wordsearches and things to do. Walk through a Victorian house and search for a missing dog in a fantastic interactive resource. You even get a certificate at the end of the challenge! To make your visit super-educational, download teachers' resources before you go.